Overview: Experience the British Virgin Island’s premier snorkeling at a small island south of Tortola. Norman Island is the source of many pirate legends and was inspiration for “Treasure Island.” Explore underwater wonders – and maybe find pirate loot as well as colorful marine life – in its caves. 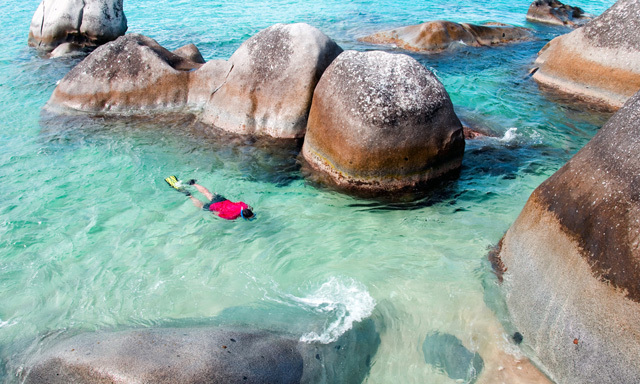 At a second snorkeling site, gentlely paddle in shallow water or simply enjoy a swim. Total snorkeling time is about 1.5 hours between the two locations. Highlights: Norman Island: A source of pirate legends, this island was the model for “Treasure Island,” by Robert Louis Stevenson. Scenic Marine Transfer: Enjoy the views on the 30-minute ride across the Sir Francis Drake Channel via launch. Guided Snorkeling: See colorful marine life as you explore the island’s caves and paddle in shallow water at a second site. Tagged excursion, Island, Norman, Snorkeling, Tortola. My next article is a Port Orford dive spot, don’t miss it. o The Blue Gap and The Chimney – But an additional sampling area to see marine life-style. This is not just because of the actual beach but also the great facilities and area around it.